"It is with the deepest regret that we have to announce that Jani Lane will no longer be performing with WARRANT. "From the beginning of our reunion talks to the last note of our last show together in Houston this past weekend [on August 31 at the Rock The Bayou festival], we have had nothing but good intentions of bringing a quality original WARRANT show to our fans and friends. "We wish Jani nothing but the best and remain friends. "We are very excited that we have found an unbelievable voice in Robert Mason [LYNCH MOB], an old friend of the band. We have three dates confirmed, come out and judge for yourself… We don't think you will be disappointed!" 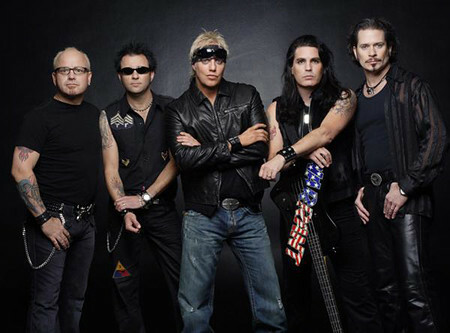 Fan-filmed video footage of WARRANT performing with Jani Lane at Rock The Bayou festival in Houston, Texas on August 31, 2008 can be viewed below.